While every reasonable precaution will be taken for safeguarding entries, it should be understood that entries are entered in competition for prizes and that the owner assumes all responsibility for any accident, loss or damage that may occur. Neither the fair Management, its officers nor agents will be responsible for any such accident , loss or damage. Poultry will be entered using FairEntry on or before Oct. 1, 2018. All poultry MUST be in place by the time designated, or otherwise they will receive no consideration from awarding committees. The Poultry Exhibit will be conducted by The Kiwanis Club of Statesboro. The exhibit is promoted through area FFA and 4-H chapters and clubs, but any student, kindergarten through college-age may exhibit poultry. 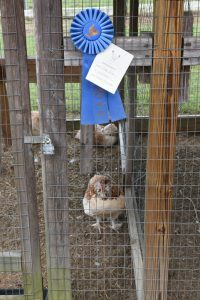 Poultry that is exhibited must be provided through The Kiwanis Club of Statesboro. A “micro-flock” of six purebred pullets will be provided to approved applicants in March or April of each year. On occasion, flocks may be received during the Fair for exhibit at the following fair. Application forms and additional information may be obtained through FFA and 4-H advisors or by contacting co-chairs Jim Phelps, , at 1012 Moss Creek Circle, Statesboro, GA 30461 (jphelps@nctv.com) or Alex Grovenstein at 808 Cottonwood Trail, Pembroke, GA 31321 (agrovenstein@gmail.com). 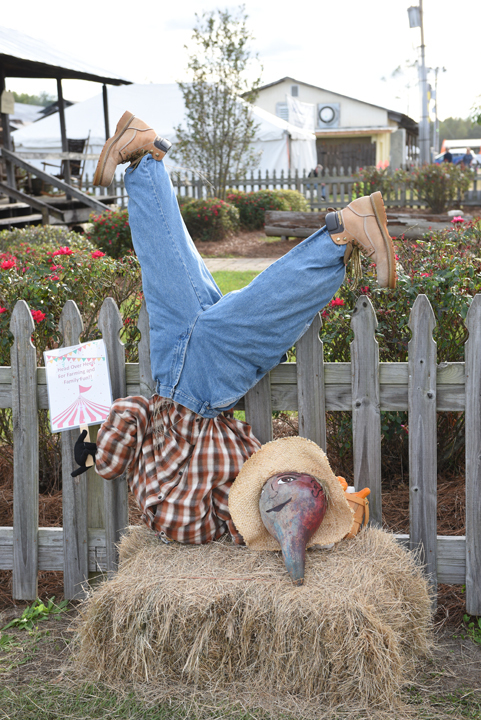 The Poultry Exhibit is open to residents of the seven counties served by the fair (Bulloch, Bryan, Candler, Evans, Jenkins, Screven, and Tattnall). Applications will no longer be accepted when space available for exhibition is taken. Applications must be approved by a parent or guardian and by either an FFA or 4-H advisor (if the student is enrolled in either organization). Each student receiving chicks is required to exhibit three hens in the fair following delivery of the chicks. The three hens must be brought to the poultry area between two and three o’clock p.m. on the Sunday preceding the fair and must be collected between two and three o’clock p.m. on the Sunday following the fair. Hens will be examined and judged by qualified personnel. Premiums will be awarded, and the decisions of the judge(s) will be final. First Place, Second Place and Third Place will be awarded in each class of poultry. In the event there are fewer than three flocks in a given class, breeds of various classes will be combined. Out of the class winners a Grand Champion Flock and Reserve Champion Flock will be selected. 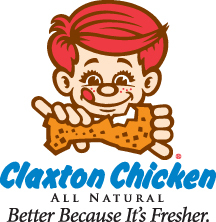 Poultry must remain in the exhibit throughout the fair. Water and feed will be provided by Kiwanis personnel. Waterers and feeders are also provided. The Kiwanis Club of Statesboro will not be responsible for the loss, health, or injury of any animal.